Daniel Cormier will defend his light heavyweight title against Jon Jones at UFC 197 on April 23 in Las Vegas. The much anticipated matchup was confirmed by Jon Anik during the broadcast of UFC Fight Night 82 tonight (Sat., Feb. 6, 2016), putting a time and place to a fight that had been rumored since Jones’ reinstatement to UFC. Like most big cards booked by the promotion, UFC 197 will take place at the MGM Grand Garden Arena in Las Vegas. The 205-pound title bout will be the main event for the pay-per-view card. The fight draws on several similarities to the recent T.J. Dillashaw vs. Dominick Cruz title fight. Although Cormier holds the light heavyweight belt, Jones never lost it in official competition. 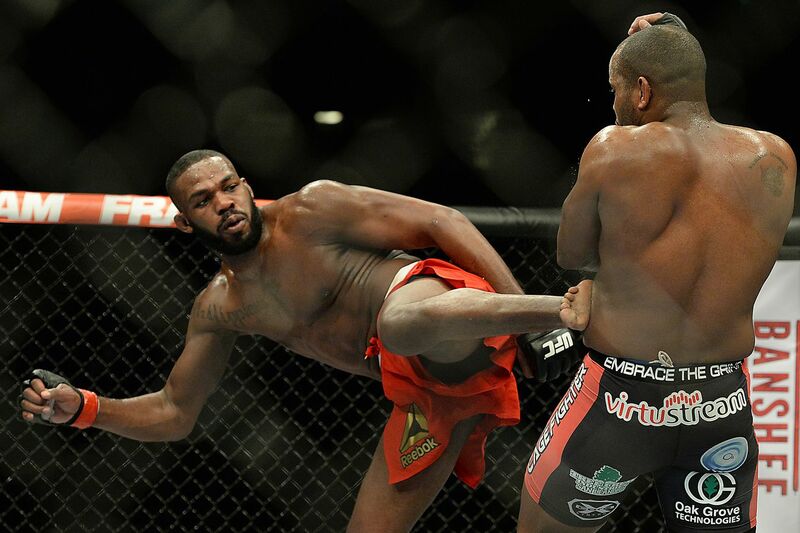 In fact, Jones defeated Cormier via unanimous decision in their first meeting at UFC 182, but was stripped of his title and suspended by UFC for fleeing the scene of a hit-and-run incident in Albuquerque, N.M. in April of 2015. Following an admission of guilt, apology and agreement to do community service, Jones was reinstated by the promotion in September. Meanwhile, Cormier defeated Anthony Johnson via third-round guillotine choke at UFC 187 to win the vacant title and then successfully defended the belt in a five-round war with Alexander Gustafsson at UFC 192 in October. Cormier has lost just once in 18 career fights, the aforementioned loss to Jones. Jones has the distinction of having an asterisk next to his sole MMA loss, a disqualification to Matt Hamill via 12-6 elbows in a mounted position in a fight he had all but already won. His professional MMA record is 21-1. Stay tuned to MMAmania.com for updates to the UFC 197 card in the weeks to come as we approach April showdown. Watch 67-Year-Old Ric Flair Deadlift 400 Pounds. Seriously. Woooo!